You know him for his eyebrow-, er, unibrow-raising turn on “Top Chef Masters,” and for being the James Beard Award-winning chef of four restaurants, including Empire State South in Atlanta. 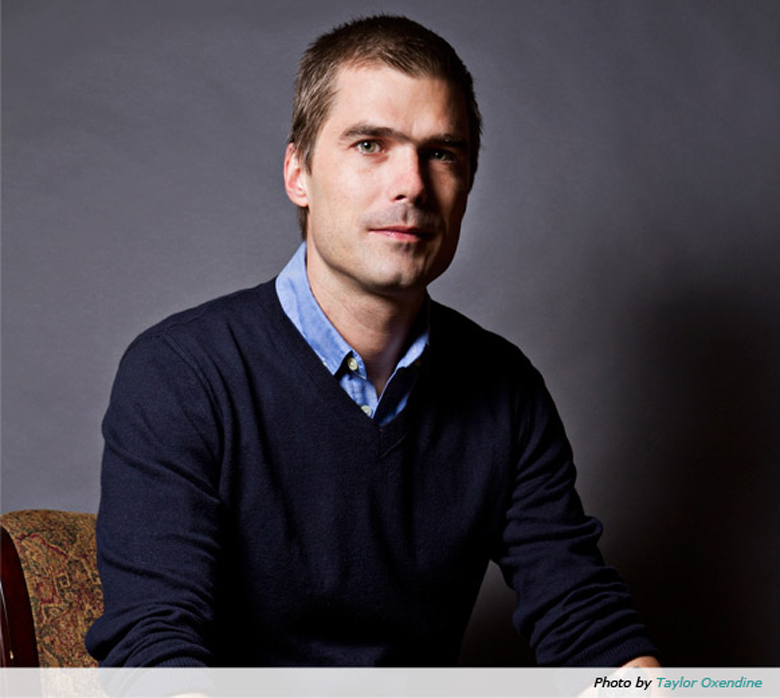 Now, get to know Hugh Acheson even more when he joins me in conversation and for a book signing at Lululemon Athletica store in San Jose’s Santana Row, 7 p.m. to 8 p.m. June 9. That will be preceded by Acheson doing a cooking demo at 6 p.m. on stage at the chess board area at Santana Row. You’re probably scratching your head about why he’s appearing at Lululemon, of all places, aren’t you? Turns out his sister works for the trendy athletic-wear company. 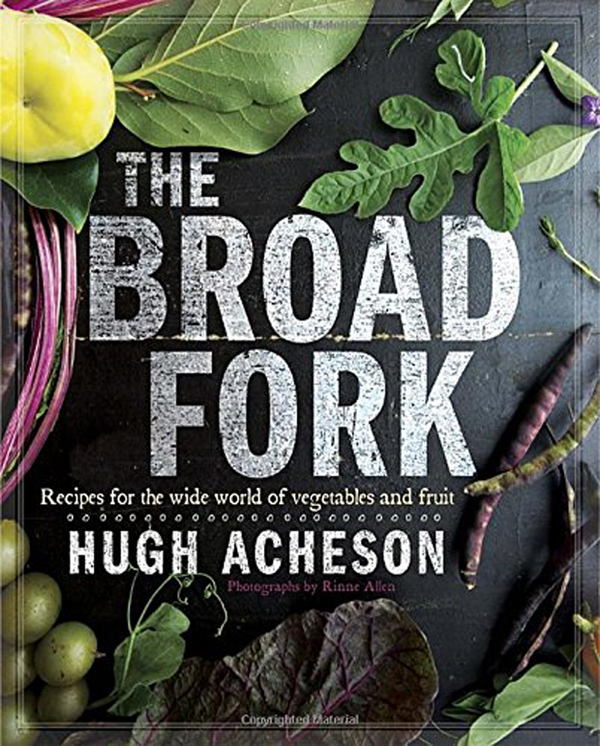 His newest cookbook is “The Broad Fork: Recipes For the Wide World of Vegetables and Fruits” (Clarkson Potter). The book’s 200 recipes make produce the star — in everything from pickles and salads to purees and sautes. Never cooked kohlrabi? Acheson will guide you through a few flavorful preparations that will make you a new fan of that root veg that tastes like the love child of a cabbage and turnip? Never heard of a yacon? I hadn’t, either, until reading Acheson’s description of the veg also known as Peruvian ground apple, which grows like a weed in the South and tastes a little like jicama. As inspiring and straightforward as the recipes are, what’s even more enjoyable is that the book is filled with Acheson’s singular voice — full of snark and sardonic observations. Although he’s most associated with the South, he’s actually Canadian. And that dry wit so associated with Canadians is on full display here. At this time of year, you’ll also likely find jars of home-made pickled cherries in his fridge. They’re also in mine now, too, having just made his delightfully easy “Pickled Cherries,” with the first of the season Bings from my local farmers market. The most time-consuming part is just pitting the cherries, but even that doesn’t take much effort. A mixture of white balsamic, water, sugar, star anise, cloves and a pinch of salt is heated, then poured over the cherries that have been placed in a clean mason jar. His directions didn’t say when the cherries are ready to eat, but I assumed an overnight maceration would do the trick. Sure enough, it did. 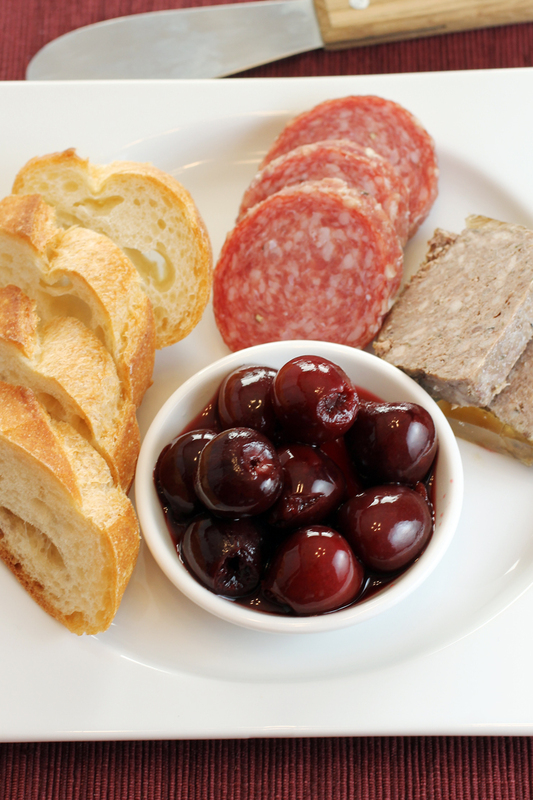 The plump cherries soften and take on a pleasing puckery-sweet, wine-y flavor. Enjoy it as Acheson likes to do — with a terrine or other charcuterie, some whole-grain mustard, and slices of baguette. Whet your appetite with that — then come see him in person for a Q&A with me at Santana Row. 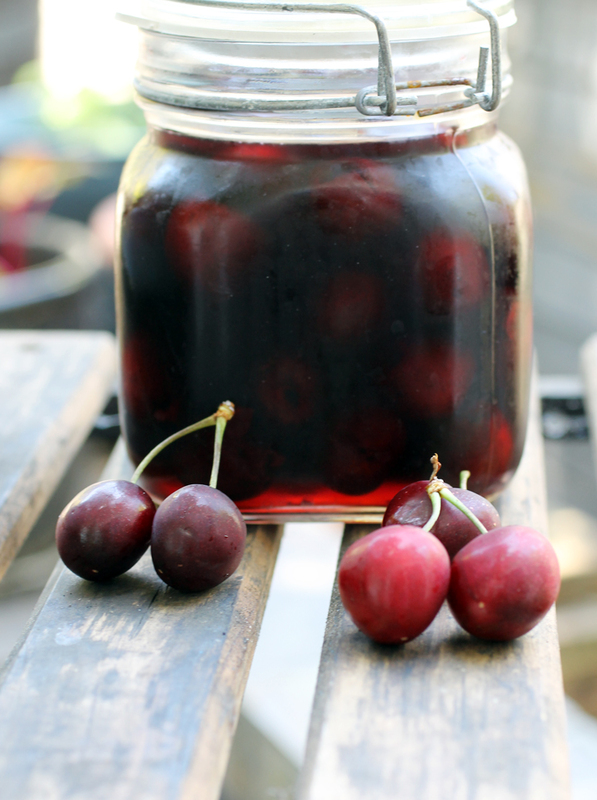 Pack the cherries into clean mason jars, leaving 1/2-inch of headspace, and set them aside. Combine the salt, sugar, star anise, cloves, vinegar, and 1 cup water in a small nonreactive pot and bring to a boil. Reduce the heat to low and simmer for 5 minutes. Carefully ladle the hot pickling mixture into the jars, leaving 1/2-inch of headspace in each. Cap with the lids and bands. Then store in the refrigerator for up to a month, or process according to the jar manufacturer’s directions to store on the shelf for up to 10 months. Oh my goodness these cherries look so delicious. They are definitely on my to make list! !